MONROVIA, Liberia — Pedro de Verona Rodrigues Pires, the former president of Cape Verde, the desertlike archipelago about 300 miles off the coast of West Africa, has won one of the world’s major prizes, the $5 million Ibrahim Prize for Achievement in African Leadership. The record of governing in Africa has been poor enough lately that the Mo Ibrahim Foundation decided not to award the prize for the past two years. In many African countries, leaders have refused to leave office after losing elections, tried to alter constitutions to ensure their continued tenure or gone back on pledges not to run for re-election. 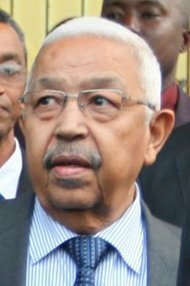 But on Monday the foundation of Mr. Ibrahim, a Sudan-born telecommunications mogul whose goal is to promote good government in Africa, announced it had picked Mr. Pires of Cape Verde, a sparsely populated former Portuguese colony of 500,000 people, mostly of mixed Portuguese-African descent. The islands are a perennial exception to the many low rankings that international organizations, including Mr. Ibrahim’s, give to nations on the continent for human rights and governing. Mr. Pires resisted suggestions that his country’s Constitution could be changed to allow him to run again, a further point in his favor, the foundation said. In addition to the $5 million award paid over 10 years, the winner receives $200,000 annually for life thereafter. Copyright 2011 The New York Times. Reprinted from The New York Times, International, of Monday, October 11, 2011.